Jordan Manufacturing Company, Inc. is a family owned and operated business located in Monticello, IN, and has been a leader in the outdoor industry for over 30 years. We began production in our new facility in April 2007. Our innovative replacement cushion program has been expanded with our new state-of-the-art equipment. The customer is the ultimate judge of our products and they have proven their loyalty since 1975. 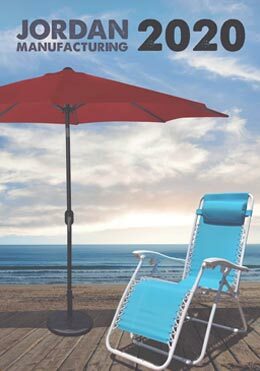 Patio Cushions, Patio Umbrellas, Patio Furniture, Outdoor Curtains, Outdoor Fabrics, Beverage Buddies, Bean Bags and Indoor Cushions. See a tour of our showroom located in Las Vegas.